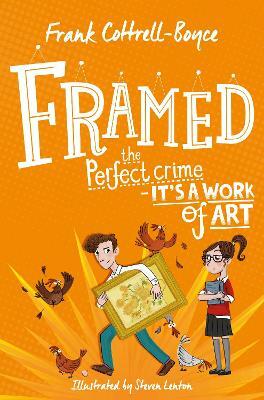 The perfect crime - it's a work of art, in Frank Cottrell Boyce's ingenious story, Framed. 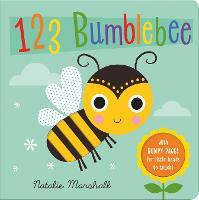 Dylan is the only boy living in the tiny Welsh town of Manod. His parents run the Snowdonia Oasis Auto Marvel garage - and when he's not trying to persuade his sisters to play football, Dylan is in charge of the petrol log. And that means he gets to keep track of everyone coming in and out of Manod - what car they drive, what they're called, even their favourite flavour of crisps. But when a mysterious convoy of lorries trundles up the misty mountainside towards an old, disused mine, even Dylan is confounded. Who are these people - and what have they got to hide? A story inspired by a press cutting describing how, during World War II, the treasured contents of London's National Gallery were stored in Welsh slate mines. Once a month, a morale-boosting masterpiece would be unveiled in the village and then returned to London for viewing. This is a funny and touching exploration of how art - its beauty and its value - touches the life of one little boy and his big family in a very small town. This edition of Framed includes bonus material and discussion questions from Frank Cottrell Boyce, and illustrations by Steven Lenton. Frank Cottrell-Boyce is an award-winning author and screenwriter. 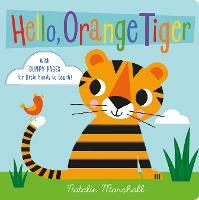 Millions, his debut children's novel, won the CILIP Carnegie Medal. He is also the author of Chitty Chitty Bang Bang Flies Again, Cosmic, Framed and The Astounding Broccoli Boy. His books have been shortlisted for a multitude of prizes, including the Guardian Children's Fiction Prize, the Whitbread Children's Fiction Award (now the Costa Book Award) and the Roald Dahl Funny Prize. Sputnik's Guide to Life on Earth was shortlisted for the 2017 CILIP Carnegie Medal and selected for the inaugural W H Smith Tom Fletcher Book Club. Frank is a judge for the BBC Radio 2 500 Words competition and, along with Danny Boyle, devised the Opening Ceremony for the London 2012 Olympics. He has written for the hit TV series Dr Who, screenwrites for feature films, including his own Millions, The Railway Man and the award-winning Goodbye Christopher Robin.